The news of the Buffalo Bills being sold this week was buried in the NFL press and spin due to the Ravens’ Ray Rice and the physical abuse of his then fiancé. Growing up just outside of Buffalo, New York, I can’t overstate the emotion of all Bills’ fans when the news broke about the team’s sale. 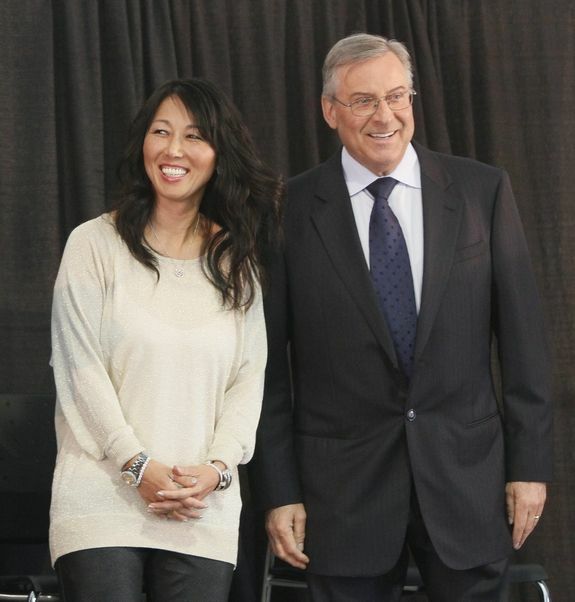 Terry and Kim Pegula, billionaires who have staked a claim in Western New York already owning real estate and the NHL’s Buffalo Sabres, purchased the team pending league approval. People called into radio talk shows literally crying, as a 25-year weight of doom and fear of the team moving was lifted off the city, region and its people. 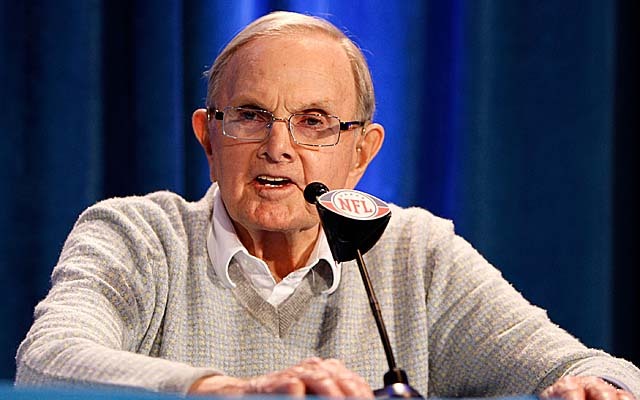 Ralph Wilson, who founded the Bills in 1959, for decades said he wouldn’t move the team, but it would be sold upon his death. It was and quickly. In one of his last actions on earth, however, he insisted through his estate the team’s new owners keep the team there. No Toronto. No Los Angeles. It appears the Bills will now be in Buffalo for generations. The fear of the team packing up is over. I have often said if the Bills were to move it would rip the emotional heart out of the city and its people, a team that is supported win or lose, heat or cold, sun or snow. Many of us live our lives through our favorite sports teams. We remember the euphoria of wins and cannot forget the deep hurt of a loss. 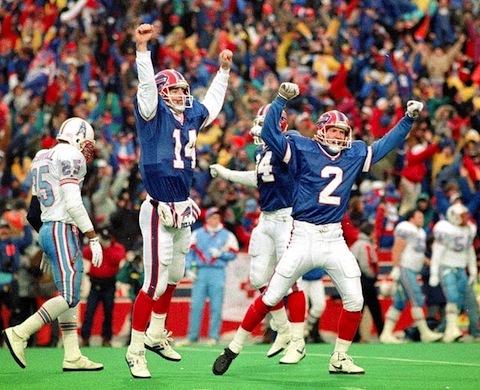 I remember crying when the Bills beat the Raiders to play in their first Super Bowl in 1991. I thought of the times watching, listening and going to Bills’ games as a kid with my grandfather and him being disgusted with their constant losing and poor play. I said out loud, “They’re actually are going to play in the Super Bowl. Gramps, they did it.” Of course, in true Buffalo fashion, “wide right” was the result as Scott Norwood missed the winning field goal in the game’s last seconds. My lasting life memory with the Buffalo Bills didn’t happen during one of the four Super Bowls they lost, though. It was the “Comeback” game against the Houston Oilers that means so much to me. January 3, 1993. Few remember, the week before they played the Oilers in the Houston Astrodome and lost 27-3 to end the regular season. I went to that game with my then “in-law family,” a time when everyone knew my first wife and I were going through a divorce. Somehow I thought that was a good idea. The next Sunday, my now ex-wife and I were back home in Louisiana taking down the Christmas tree for the last time…together. She was dividing up the ornaments between us. As you can imagine, it wasn’t pleasant. We got into an argument, for reasons I can’t remember, and left the house with our then toddler son. The Bills-Oilers game came on NBC, broadcast everywhere in the country…except Buffalo…because the game wasn’t sold out. The Bills, just like the week before, were getting steam rolled. At halftime, host Bob Costas raised the white flag for the Bills and his broadcast crew start discussing who the Oilers would be playing the next weekend in the play-offs. Could life get any worse? Divorce? My small child moving away? The Bills being destroyed in the play-offs? If I had a dog at the time, I’m sure it would have dropped dead before me that afternoon. This was the deepest valley of my life. Emotional devastation. We’re talking Mariana Trench deep. As I sat on the floor slumped over, I reached for the TV remote to turn the game off. Then I thought this would be the last time to see the Bills play that season and I put the remote down to view the inevitable loss. No team had ever come back to win with a score as bad as this. The second half started with the Oilers scoring again. The blowout was getting worse. About then the NBC cameras showed a close up of Houston quarterback Warren Moon on the sideline. He had this “uh oh, we’ve pissed them off look” on his face. The “Comeback” began. The Bills scoring one touch down after another and eventually winning with an overtime field goal. I was sobbing. Emotionally drained, yet euphoric. I’ll never forget that moment. It was that afternoon my life began the climb from its depths and got better. A lot better. I can pinpoint the moment, a moment shared with the Buffalo Bills. The Bills went on to play in the Super Bowl that year…and lose. But, that was OK. I believe they never would have gone to four consecutive Super Bowls, something no other team will ever do, if Norwood would have made the field goal in that first game. I understand business is business in professional sports. But, it’s smaller cities like Buffalo that keeps the humanity in billion dollar leagues like the NFL. Cities like Buffalo, Cincinnati, Indianapolis, Cleveland are where people choose to live and love living there. In many places they put up with long winters, but it’s those winters that make the summers so appreciated and beautiful, especially along the Great Lakes. Fans live their lives through their teams. Win or lose. Putting all differences aside, everyone can agree on a Sunday afternoon and cheer on a team like the Bills, Browns, Bengals or Colts. This is something Bills’ founder Ralph Wilson understood. 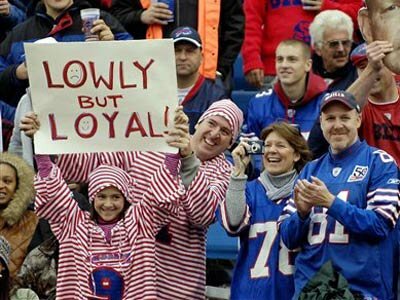 And something the new owners of the Bills appear to understand as well. Sure. The Buffalo Bills may be worth more in Los Angeles or Toronto. But, the passion for a team will never be greater than in a place like Buffalo. Please like and share this blog by clicking below. Holy crap, I had no idea you could write like this, I’m just a deejay, but I do know really good writing when I read it. Nice Job, you had me wrapped up in the game waiting for the big comeback!